President Trump’s comments with Russian President Putin in Helsinki this week kicked off a media firestorm. With stories like this it’s hard to tell which end is up, these days. We’ll talk about it in Trump-Russia-Comments-Media Firestorm-Bob Davis Podcast 739. Everything was going “so well” until the President went to Helsinki, Finland to talk to Russian President Putin. Most noteworthy were comments from Trump that contradicted US intelligence assessments saying Russia interfered in the 2016 election. Were Trump’s comments a mistake or intentional? 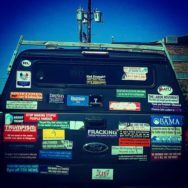 Do they constitute ‘treason’? Really? As a podcaster I do not envy people who have to be on the air everyday and react to these kinds of breaking stories. When a president as unpredictable as this one makes news with every tweet and comment what does one say? It’s especially relevant to note the Trump-Putin summit did not result in any signed agreements. There was a cordial discussion. It was the joint press conference that kicked off a media rampage of truly biblical proportion in the US. It certainly didn’t help that Trump was unprepared, and proud of it. 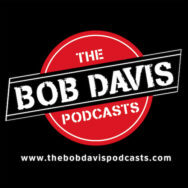 We’ll break it down in Trump-Russia-Comments-Media Firestorm-Bob Davis Podcast 739. Moreover critics and supporters are busy telling all of us what to think and what will happen next. Either Trump’s a genius or a fool. He’s getting a second term or will be impeached. Academics write several hundred words supporting the so called ‘resistance’ or articulating the president’s policy for him. Everything Trump does has ‘never been done before’. Former government officials are trotted out to tell us how this is the worst thing that has ever happened. Smarty Pants Professors tell us what Abe Lincoln or Woodrow Wilson would have done. In conclusion, are people really going to take to the streets because Trump upset the Mueller applecart in Helsinki? Is Trump in the process of destroying the Republican party? Are democrats doing the same thing on the left, by attacking everything the president does? Let’s talk about it.